ON Semiconductor is defining new levels of ultra-low power operation in the IoT with the introduction of its Bluetooth Low Energy Switch reference design that operates entirely from harvested energy. The platform demonstrates how the RSL10 System-in-Package (SIP) can enable Bluetooth 5 devices that are battery-less and entirely self-powered, requiring no additional energy source. The Energy Harvesting Bluetooth Low Energy Switch brings together the highly-integrated and exceedingly low-power RSL10 SIP with the innovative energy-harvesting technology developed by ZF Friedrichshafen AG, to provide the ideal platform for a range of IoT applications. Featuring a fully-integrated antenna, RSL10 radio, and all passive components; the RSL10 SIP simplifies system design and minimizes the bill of materials. The Switch reference design is provided with complete BoM, schematics, PCB layout and Gerber files, as well as free use of the switch-side firmware. The technology developed by ZF captures the energy transferred when a user presses a button. The switch converts energy from kinetic to electromagnetic, and stores it for use by the RSL10 SIP. Each time the button is pressed the fully-integrated energy harvesting solution generates 300μJ. 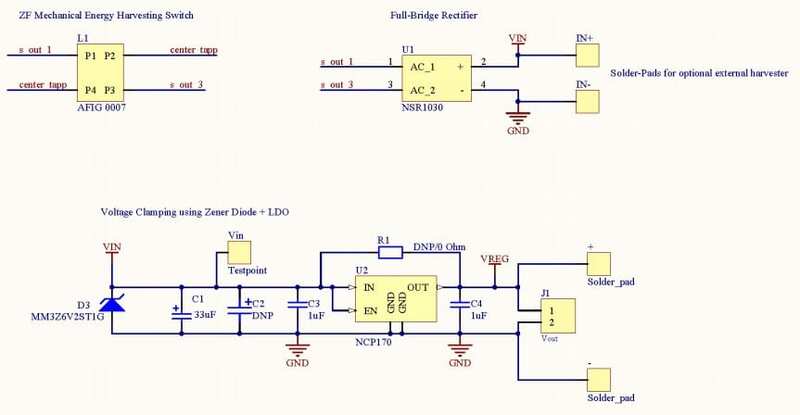 This is enough to meet the extremely low power requirements of the RSL10 SIP, which is just 62.5nW in deep sleep and only 10mW when transceiving. Wiren Perera, who heads IoT at ON Semiconductor said: “Energy harvesting is becoming increasingly important for IoT deployments since it eliminates the need for power delivery, battery costs and replacement costs coupled with its inherent eco-friendliness. Based on the industry’s lowest power Bluetooth radio, the Energy Harvesting Bluetooth Low Energy Switch is the perfect starting point for self-powered Bluetooth IoT applications. “Along with the reference hardware design, ON Semiconductor provides a firmware suite, which can be customized using the RSL10 Software Development Kit (SDK),” Perera concluded.